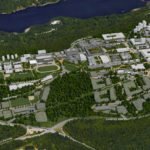 The City of Vancouver is expected to approve a plan for the Heather Lands, guiding the redevelopment of the former RCMP operations centre. 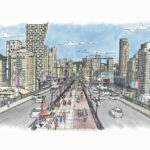 The plan is being developed at the request of the Heather Street Lands owners: Canada Lands Company and the Musqueam, Squamish and Tsleil-Waututh Nations Partnership (MST). 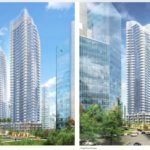 The 21-acre site, located between West 33rd and 37th and bordered by Willow and Ash, will have building heights ranging from three to 24 storeys. At full build-out, there will be approximately 2,500 units. 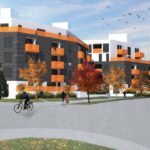 A minimum of 20 per cent of all units will be required to be affordable housing, including an estimated 530 units of social housing. 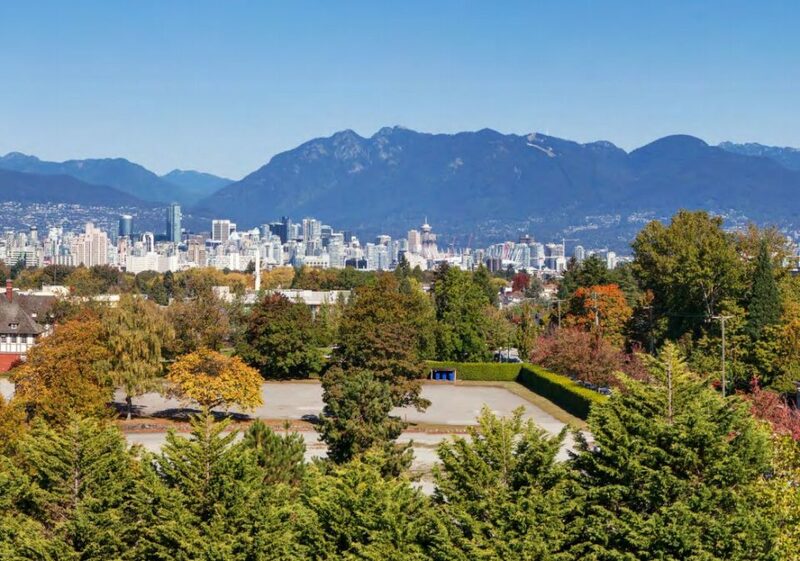 An additional 20 per cent of all units on the site will be “attainable home ownership” opportunities — targeted at middle-income households earning between $50,000-$80,000 for singles and couples and $80,000-$150,000 for families with children. The affordable ownership units will be secured in perpetuity, and the resale process will be managed by either the MST or a non-profit agency. At least 35 per cent of the market units will be two bedrooms or larger, designed with families in mind. A one-acre site for a future elementary school is also part of the plan. There will be four acres of open public space, two acres of which will be a park. A 69-space childcare facility will also be built, as well as a 15,000 sq ft. indigenous cultural centre. Small format retail such as space for medical offices and cafés will be part of the development. 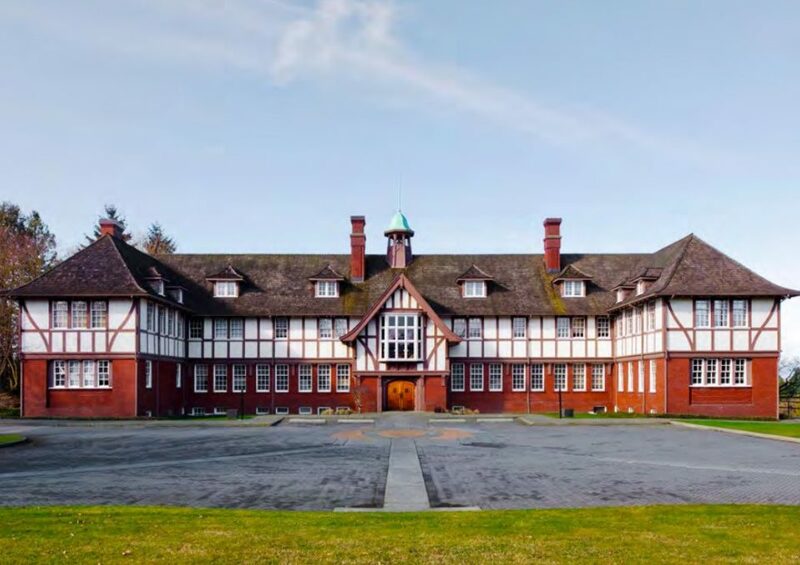 The Fairmont Building on the Heather Lands, built in 1914, was first used as a private boys’ school before it was purchased by the RCMP in 1920. It was later used as the ‘E’ Division Headquarters for the RCMP, and is a Class ‘A’ heritage-registered building. It’s also seen as a reminder of when the culture and customs of Indigenous people were oppressed through the Indian Act and other discriminatory laws, enforced by the RCMP. In recognition of this history, the MST Nations with the support of Canada Lands Company have requested removal of the Fairmont Building from the Heather Lands. 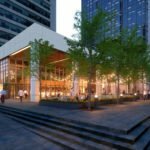 The city is proposing to relocate the Fairmont building off-site, if a receiver site and suitable use can be determined. The move would need to be completed within three to five years to enable development on the Heather Lands to proceed. If a receiver site and use cannot be identified within the timeframe, the building will be demolished. 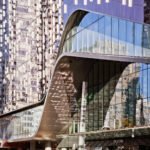 Future Canada Line station for Heather Lands? 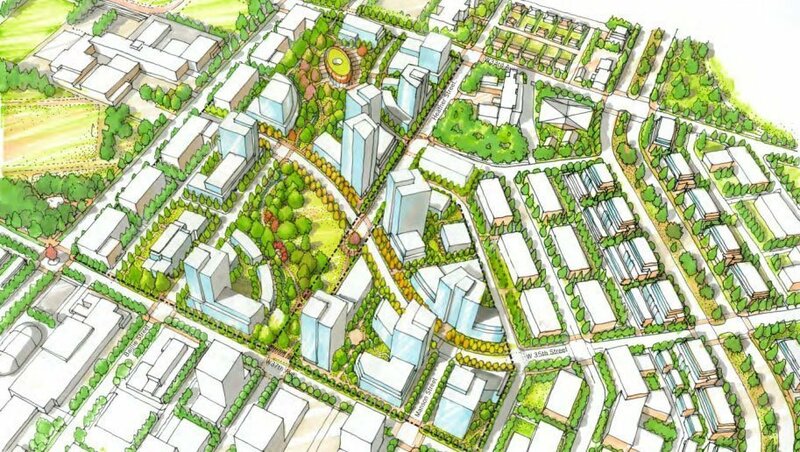 Several new public streets will be created and dedicated to the city, as part of the Heather Lands redevelopment. 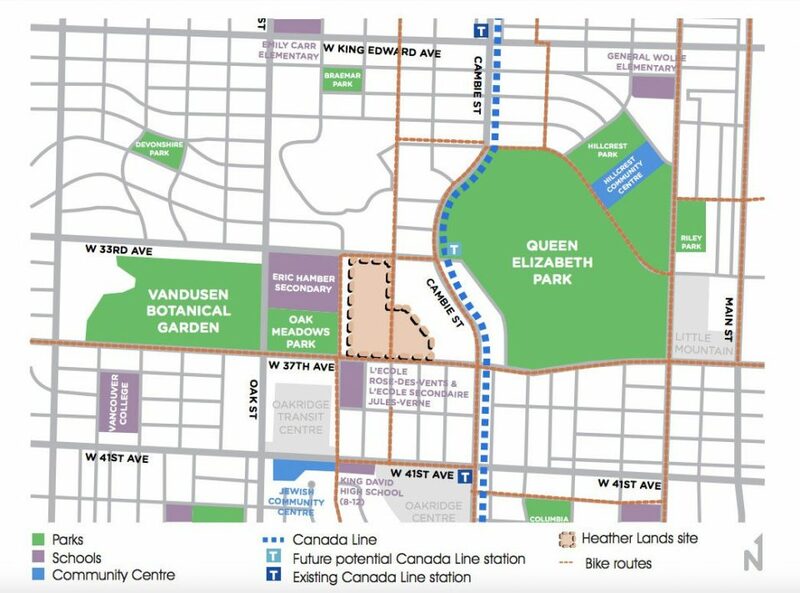 In addition, a financial contribution provided by the developer towards the construction cost of a future potential Canada Line station at 33rd Avenue or other transportation improvements will be considered. 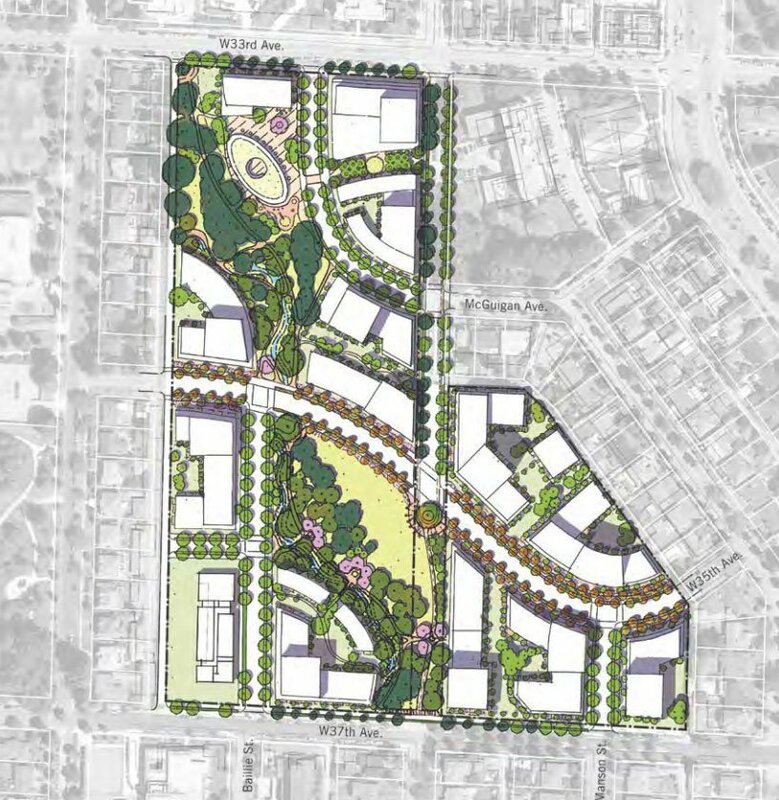 The Heather Lands are only four blocks from the redevelopment of Oakridge Centre by Westbank and QuadReal. That project will add 2,600 new homes to the shopping centre property, as well as a new nine-acre city park.